Our Wandering Palate Melbourne correspondent, Matthew Wilson, finds himself in gourmet nirvana and arguably the best Cookbook store in the World. For a guy who achieved at best a “D” in English … a book store is probably the last place you would expect to find me. Tucked away in a corner of the store, engrossed in a good book, and indeed overwhelmed by the vast array of literary offerings. 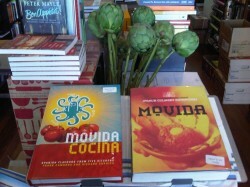 Except of course, if the books are about – wine and food – a real passion and there are plenty of vivid food depictions!! Books for Cooks, at 233/ 235 Gertrude Street, Fitzroy (a vibrant inner suburb of Melbourne) – www.booksforcooks.com.au/ satiates my appetite for learning about all things wine and food. 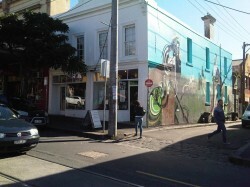 On Gertrude street, Fitzroy (itself is a fascinating destination worthy of its own article) a lazy Saturday can easily be lost in food, wine, coffee, design, art, fashion and an ice cold beer at a classic working class pub. 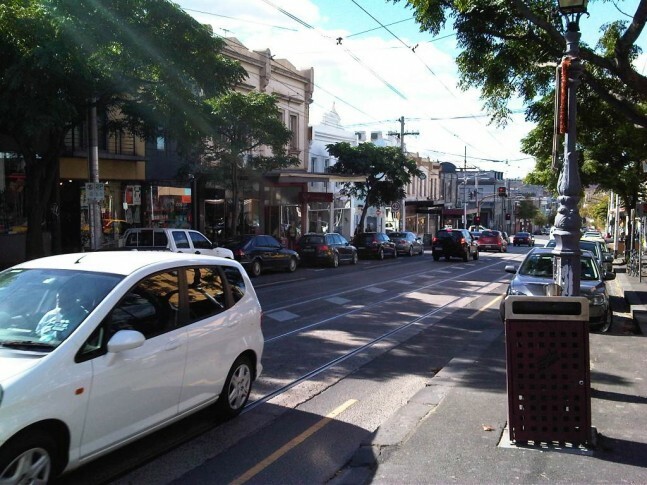 In the old days, Gertrude Street was gripped by poverty and crime. But cheap rent close to the Melbourne CBD eventually lured immigrants, artists and musicians (Tom Roberts and Arthur Boyd both lived in the area). Today food joins the artistic bent, the street being a whimsical, creative and passionate enclave to whet the appetite – Cutler & Co, The Builders Arms, Ladro, Rose Chong Costume Hire, Industria, Tattoo Magic, Dianne Tanzer Gallery and … Books For Cooks inter alia. Twelve years ago husband and wife team, Tim and Amanda White, left the relative security of the legal profession and kitchen management to pursue their passion for cooking and books. A transaction which landed them 6,000 odd mostly second-hand cookbooks was the seed to the tree that is today, in my opinion, Australia’s most compelling culinary book store and experience. 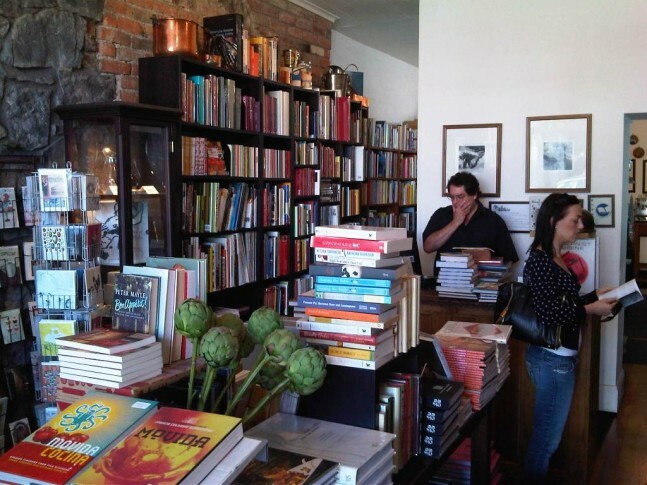 Open 7 days a week, Books for Cooks is four rooms full, floor to ceiling of books (~37,000) exclusively about wine and food, a workroom and storage area bursting at the seams with stock – new and old titles arriving every day. To give you a flavour profile of the store, 10% is solely wine, 10% other beverages (coffee, tea, cocktails, beer etc), 10% is food related (history, sociology, anthropology, politics, design, packaging etc) and the balance culinary recipe books from around the world – celebrity, professional, fine dining and technical. My first foray into the store was to track down a copy of – “Adventures on the Wine Route – A wine buyers tour of France” by Kermit Lynch. I could not put it down one wet and wintery Melbourne Sunday afternoon; a bottle of burgundy beside me, I was captivated by Kermit’s stories of journeys into the Loire, Rhone, Chablis and Provence amongst others. Walking into Books for Cooks for the first time triggered a real sense of excitement and awe and reminded me, as a young boy, entering Hamleys Toy Shop of London or as an emerging gastronome entering Peck Deli of Milan; wow, so much stimulation and interest – I can get lost in here for hours. I walked out some time later, with much more than I intended; a bundle of wine and food books and an enthralling conversation with Tim. He really knows his stuff, obsessively focused on the core artisanal food & wine and antiquarian cookbooks. I challenge you to drop Tim a line www.booksforcooks.com.au or visit their store, there is virtually no book he doesn’t have or can’t retrieve for you which is food and wine related and he is relentless; one out of print cookbook took 9 years to find – but he found it!! Next visit was for a dinner party. Let’s get a cookbook with some real wow factor. Again one book didn’t suffice, Ottolenghi, The Cookbook – Portobello mushrooms with pearl barley and preserved lemon, Carrots and Peas (not what you think – crunchy carrots, fresh peas and lots of robust flavours of sweet and spice) and Danielle’s sweet potato gratin (sweet lush comfort); Karen Martini, Feasting – Zaalouk (slow cooked eggplant and tomato – harissa infused, spice laden creamy goodness), Freekah salad with feta, toasted almonds, lemon and parsley and Slow baked lamb shoulder (rosemary, oregano and lemon laced rich tender lamb); and The Family Meal, Home Cooking with Ferran Adria, the first and only book on home cooking from the legendary elBulli restaurant and the “family meal” was the dinner eaten every day by the 75 members of staff at elBulli – Meal 7, Saffron risotto with mushrooms and Catalan style Turkey (raisins and pitted prunes macerated in vino rancio) and Meal 30, Grilled lettuce hearts and Veal cheeks with red wine & mustard (brandy, tempranillo, mustard, butter and melt in your mouth cheeks). 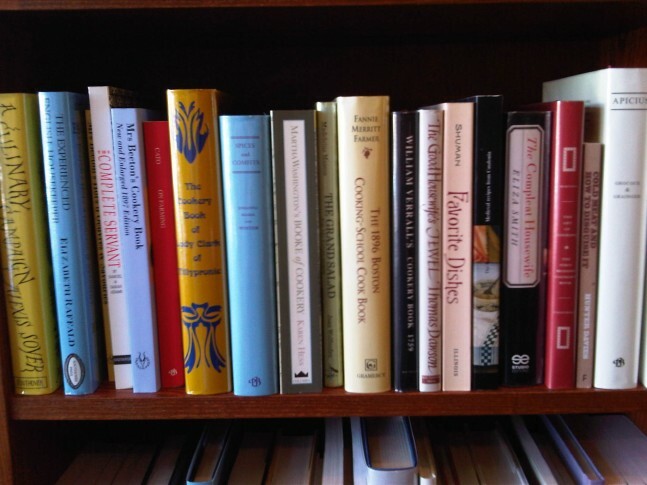 Books for Cooks is more than a book shop. Tim and his team have hosted many authors, cooks and chefs including Heston Blumenthal, Maggie Beer, Stephanie Alexander, Michel Roux, Thomas Keller and Antonio Carluccio for book their launches which must include some wine and food!! And since 2009, it is the Official Bookseller for the Melbourne Wine and Food Festival and is listed in the top 500 Food & Wine Experiences in the Frommers Foodies Guide. And now I have no excuse not to hop into my favourite chair for the afternoon, flicking through the pages, stimulating my food and wine passion, well lubricated with a bottle of Castello Monsanto Il Poggio, 2006 and perhaps some olives and pecorino… to consider, what is for dinner?